Why Is a Healthy Lifestyle Important for Teenagers? Keeping active will benefit teenagers in their adult years too. Adult health is a combination of lifestyle habits developed during your teenage years, your environment and genetic factors. Learning to develop healthy lifestyle habits and a positive body image as a teenager are important contributing factors to both teenage and adult health. While teenagers tend to focus on the short-term, immediate results of their actions, there are long-term benefits of learning good nutrition habits, leading an active lifestyle and having a healthy body image. One of the most common problems adults face is cardiovascular disease, or CVD. There are several things you can do as a teenager to decrease your risk of CVD later in life. Research published in the journal "Preventive Medicine," shows that a higher percentage of body fat during your early teenage years may be an important indicator of how high your risk of cardiovascular disease will be as an adult. The study also suggests that healthy lifestyle habits such as daily physical activity during your teenage years indicated good adult health. Hence, a healthy lifestyle in your teenage years is important for lifelong health. 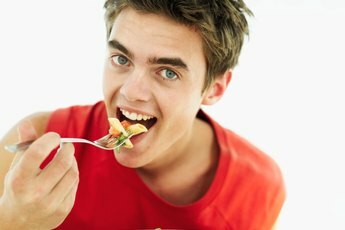 Food habits developed during your teenage years also play a key role in adult health and help prevent diseases such as diabetes and osteoporosis, or weakening of the bones. These include eating nutritious snacks and getting enough calcium. Limit sugary foods and drinks and eat foods that are rich in healthy fats such as peanut butter and cheese only in moderation. BBC Health recommends eating starchy carbohydrates such as whole-grain bread and pasta, plenty of fruits and vegetables and a few servings of dairy products and protein each day. Healthy habits to develop during the teenage years include drinking 6 to 8 glasses of fluid a day, preferably water or low-fat milk and eating regular meals, especially breakfast. Physical activity helps to improve your current health, maintain a healthy body weight and boost your energy levels. A more active lifestyle can also help balance mood, enhance learning abilities and improve self-confidence. Playing sports and getting outdoors might seem second nature to some teenagers, however, more youth are spending a lot of time sedentary and indoors. This includes time spent watching television, playing video games or browsing online on the computer. Find fun physical activities to do at school, with friends or with family to learn new athletic skills and make new friends. Many community centers and schools offer little league baseball clubs, ice hockey teams, swimming and soccer teams. 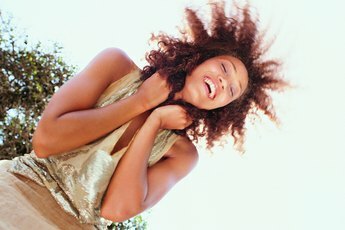 Forming good food habits and leading an active life are essential parts of having a healthy and confident self image. In an Australian study, published in the "Journal of Youth and Adolescence," teenage boys and girls were shown to have different ideas about weight loss and body image; girls favored weight loss and boys favored weight gain. These ideas might stem from unrealistic media images, athletic ideals or a lack of health knowledge. Remember that having a healthy body image and confidence in yourself comes from learning more about true body health and setting your own realistic goals for your body type. 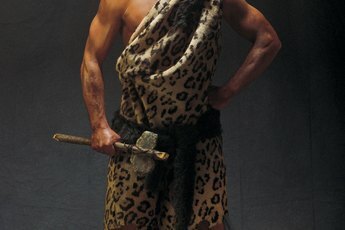 What Is the Caveman Model for Nutrition?